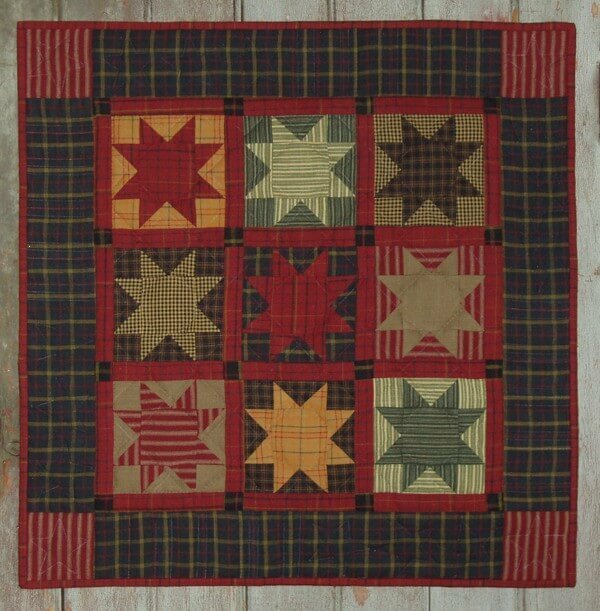 Rustic homespun fabrics in plaids, checks, and stripes come together to create a quilt bringing comfort and warmth to wall or tabletop. Finished size is 22″ x 22″. Colors are dark navy, red, mustard, green, black, and tan.